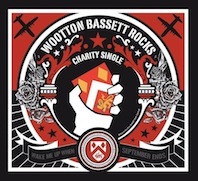 A project called Wootton Bassett Rocks has been set up to release a charity single and video covering Green Day's Wake Me Up When September Ends, to honour fallen heroes and in aid of military charities. Royal Wootton Bassett is a small market town in Wiltshire, England and was recently awarded its Royal status to mark the end of an era of repatriations through the town. "My brother, Captain Mark Hale, was repatriated through Wootton Bassett in 2009. In June 2011, I decided to set up a project whereby the people and community of Wootton Bassett could work together to provide continued support to bereaved families and injured soldiers, as repatriations through the town were coming to an end, and Wootton Bassett Rocks! was born." From that clip, it reminds me a little bit of the American Idiot The Musical version of the song, which bodes well. You can read more about the initiative's "mission" on the Wootton Bassett Rocks website. Follow regular updates on twitter @wbcharitysingle and 'like' the facebook page to help spread the word! The single and video can be downloaded from 27th November on iTunes and other online retailers. We'll keep you updated as we approach the release, so please help get behind it. On this day in particular, it's a great reminder of the people who have fought, and continue to fight, for their country's freedom. Thanks to McNiven1990 and Daniela089909 for sending this news.